Starting today, you can take an extra 40% off of all sale items at Tea Collection with the coupon code below. This is so much more exciting than the extra 25% off of last week... and there are still some really great things left. 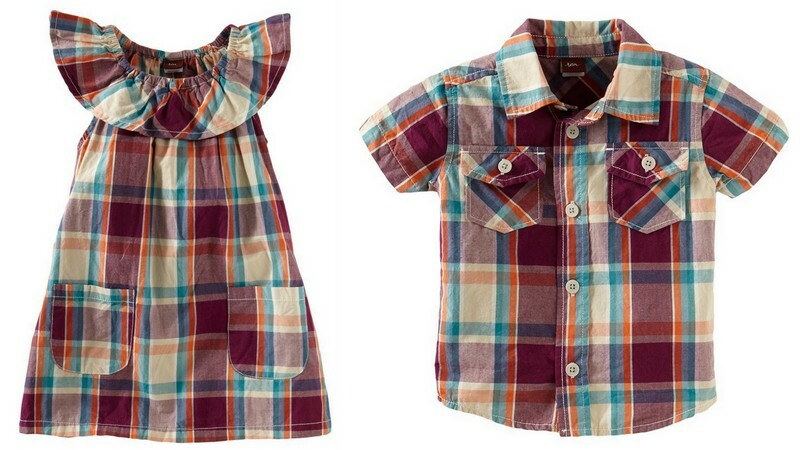 The above African sunrise brother/sister duet is now just $12 for the tunic and $17 for the button-down shirt. There are plenty of separates for under $10 and lots of dresses under $15. Time is of the essence on this sale, however, because sizes are disappearing really, really quickly. Have fun!